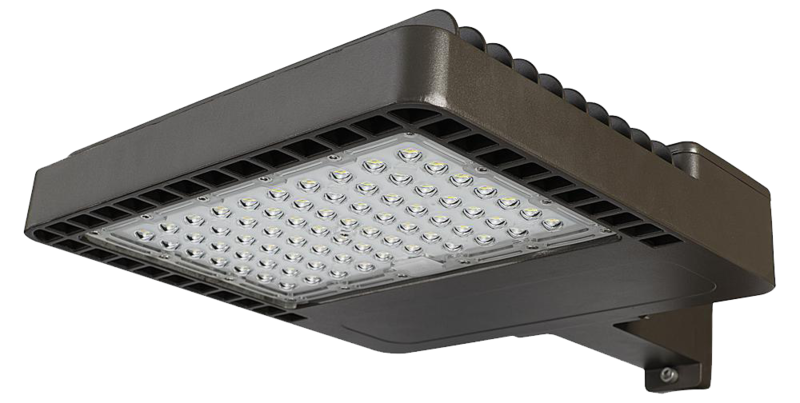 The AFL features high performance, highly efficient LED technology. 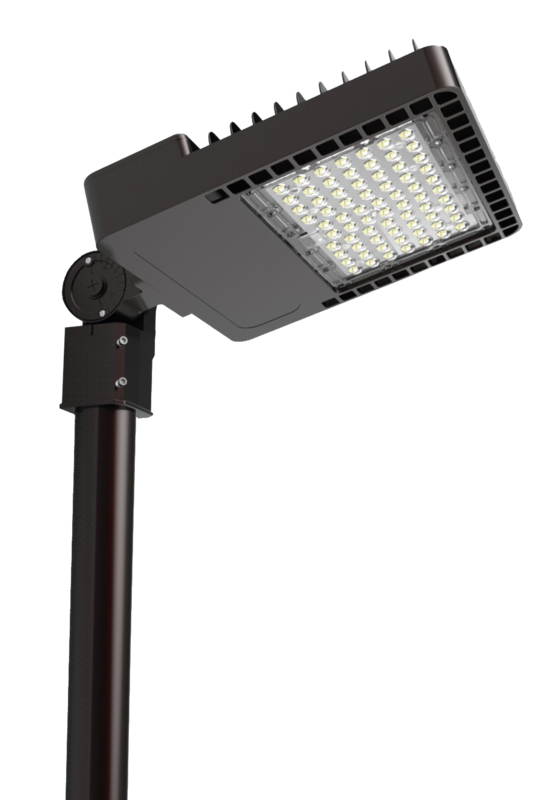 It is suitable for many exterior site lighting applications. A photocell comes standard, as do 0-10V dimming drivers. There are two mounts to choose from: the Extension Arm for direct mounting to poles or walls, and the Slipfitter Knuckle for round tenons. AFL's housing is made of precision die cast aluminum. It is coated with a chip and fade resistant textured polyester powdercoat finish. The lens is UV-stabilized polycarbonate.